The topic was actual also in the Soviet period and it is much reflected in graphic art and paintings of Evald Okas. 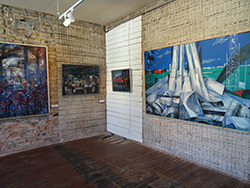 After the war, the artist focused on the Old Town of Tallinn and Vääna coastal landscapes, in the second half of 1950s – on the nature of islands and life of fishermen, and large building projects in Kunda and oil shale region. The sheet depicting the latter „Gas Factory“ (1959) received award in Ljubljana Graphics Biennial in 1961. In major cities, which Okas visited in 1960s – mainly Tokyo (1963), Montreal (1967), and New York (1969) – he was fascinated by contemporary urban construction and constructive courage of modern architecture. 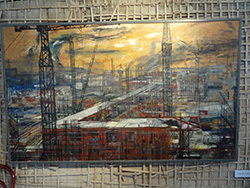 This was revealed from 1960s in many paintings with abstract character („City in Scaffolding“, 1965, Estonian Art Museum, etc.) 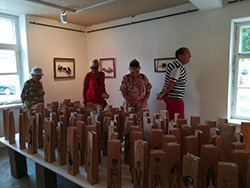 and single sheets completed in etching and lithographic techniques, as well as the series of large lithographic sheets “City” created in 1974-86. His subjective impulsive approach to constructivist composition is worth highlighting. However, he has always been fond of the vigour of nature, lush greenery („Landscape with Flowers“, 1976, Estonian Art Museum). 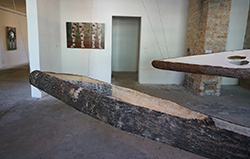 His vision of the relationships of city, nature and artist was perpetuated in the triptychs „City and Artist“ (1978, Estonian Art Museum) and „Man and Nature“ (1985, Art Museum), which the public has not seen for a long time. 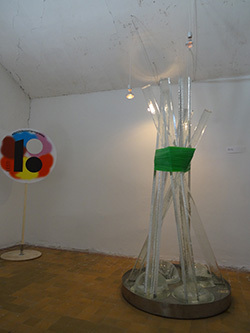 belonging into EV 100 art programme "100 art scenes"
Objective of the exhibition is to introduce contemporary side of modern glass art and to offer ideas on the themes of tolerance, understanding, possibility and necessity of different points of view. Allegories of work and working. 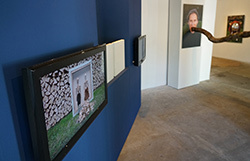 Small people from the country, behind the painting, and more... Looking at a still life with rustle of leaves and agrarian-mythological bustling, one can think: What would take place in a small country without small people? Or what would be a painting without small people? Does life in a country surrounded by water on three sides mean life in isolation? Or does the surrounding water have a connecting role? Life amidst water – where water can be a limit from one side, but a bridge from the other side. This is another intermediate stop of the series of “small people” by Saarepuu and Plink, with new selection from earlier picture stories. 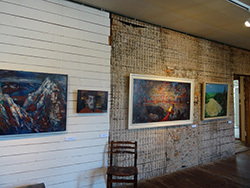 Overview of versatile creation of the painter Antti Ojala. 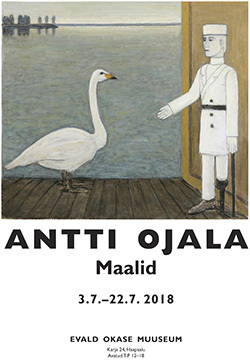 Antti Ojala (born 1935) is a Finnish artist, who creates symbolistic expressive paintings and has been active in Finnish art scene already for 55 years. 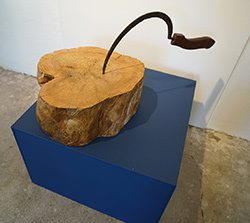 During this period, he has held consistently solo exhibitions and participated in joint exhibitions in Finland as well as elsewhere in the world. He is a member of the Finnish Painting Association and has received several awards, including the award of Finnish Art Society. 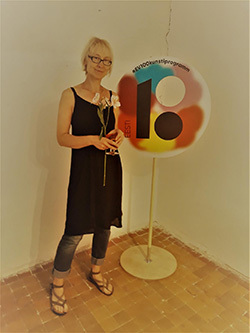 His works are in the collections of Museum of Contemporary Art Kiasma, Sara Hildén Art Museum, Oulu Art Museum, Finnish Parlament, the City of Helsinki etc. 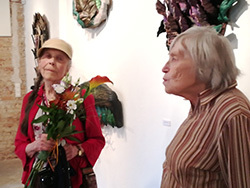 2018 Rakupaku workshop is the fifth time, when artists of different specialities meet in Evald Okas Museum, in order to study and test various techniques in the field of clay and textile. 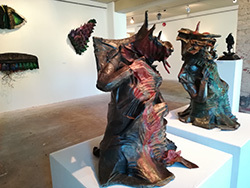 Until now, the connecting link of workshops has been raku firing technique used in ceramics and block printing, which can be used on textile as well as clay. This time, use of materials of the workshop has been reduced to elementary parts, and the entire structure is more abstract. 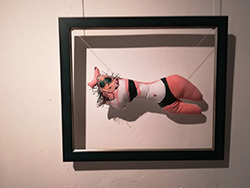 Of textile materials we will use thread, string, yarn and other more basic forms of material, as for clay – raw and fired bricks, and forms made with raku firing. In raku firing technique, this time we try terra sigillata – which means “screened land” in translation and is related to surface finish of ceramics. Also, the meaning of wooden block has changed – as a block, we use clay brick as basic element of construction. 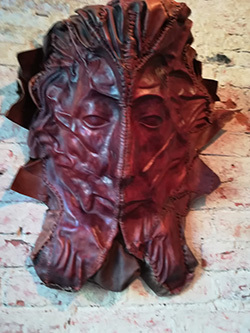 Part of the result of the workshop has the form of performance, where firing has a separate special role in the creation process, related to the construction of raku firing furnace as well as molding of a fire sculpture from raw clay. 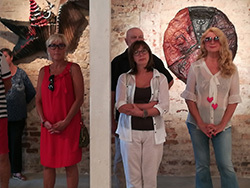 The exhibition continues the series of Evald Okas Museum „Artist families“, providing interesting reflection of changes in the possibilities of art and creation with the examples of artists belonging into the same family. 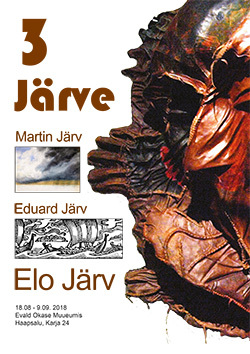 Elo Järv (1939) is a well-known leather artist, creator of original leather decorations and especially leather sculptures, being one of the most genuine fantastic surrealists in Estonian art in her field. 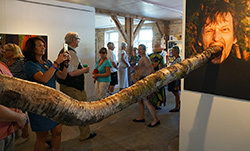 Her creation received Kristjan Raud Annual Award in 2012. She studied 1957-58 in Tartu Art School and 1958 – 64 Estonian State Art Institute. Her father Eduard Järv (1899-1941) studied in St Petersburg, in the school of the Arts Promotion Society in 1912-17, and also in the reorganised Academy of Arts before opting in 1921. He was an outstanding wood engraver, who illustrated several historical books in 1920s-30s (E. Kippel „Meelis“, N. Päts „Storkatter“, etc.) in original style, and made also drawings for „Kalevipoeg“. He has also been graphic designer. Martin Järv (1853-1919), grandfather of Elo Järv, was one of many Estonians, who settled in St Petersburg in the second half of 19th century. 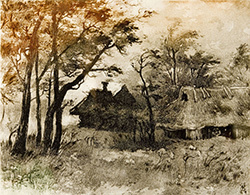 In 1891 he graduated from the school of the Arts Promotion Society with silver medal in the speciality of aquarelle. 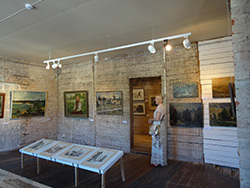 The preserved examples of his creation include aquarelle and gouache paintings created in carefully detailed style with suburb views of St Petersburg, but also with rural landscapes from St Petersburg district, where also many Estonians lived. 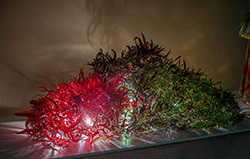 He made art as a hobby beside his main work as an electroplating specialist in Siemens and Halske factory. 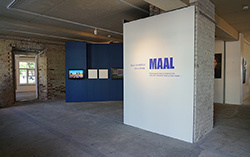 The exhibition includes also works from the collections of museums. 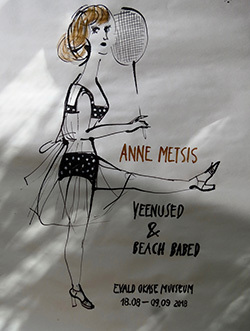 Anne Metsis- Personal exhibition „Venuses & Beach Babes"
The exhibition includes fashion drawings and clothing models. 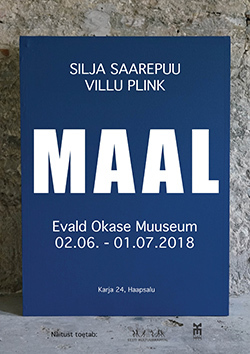 Thoroughly feminine exhibition brings out the views of the author of being a woman and femininity, which has accompanied her in her work as an editor and fashion editor of the periodical Eesti Naine. In broader perspective it includes overview of the creation of the fashion artist during 60 years of life.